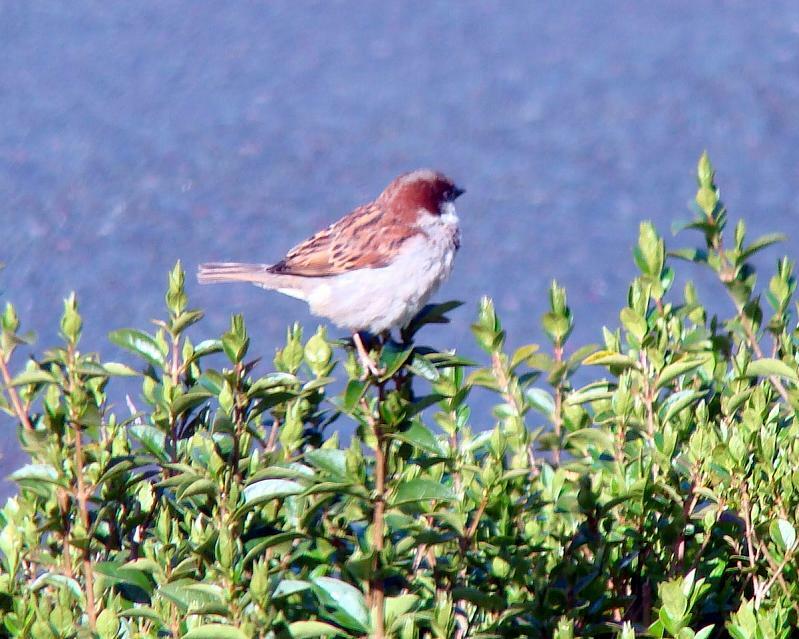 Nature Magnified: The Sparrows decide. 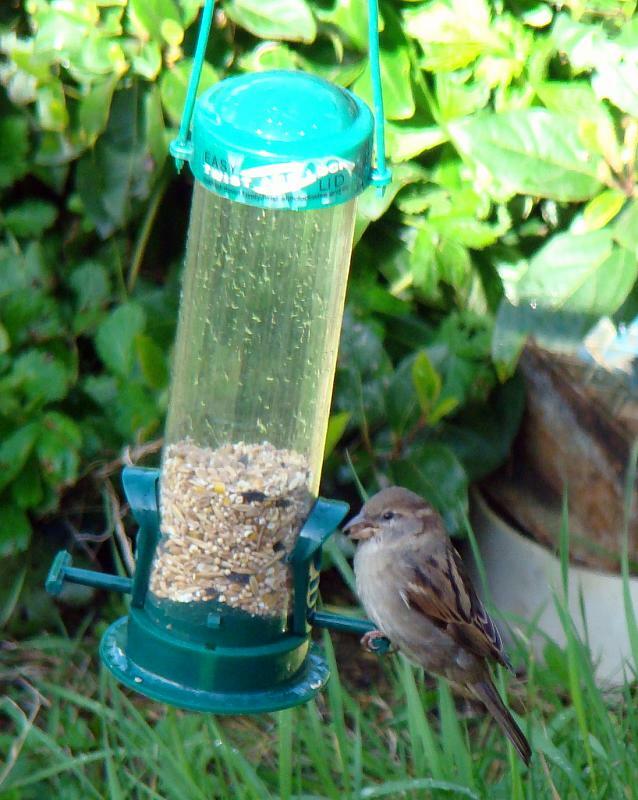 I`d mentioned earlier about how two representatives of the sparrow gang have been surveying my feeder from a distance. That was two days back and I thought they had gone off to hold a meeting and decide if they should shift base from the neighbouring block. I can now confidently announce that they have decided - favourably! 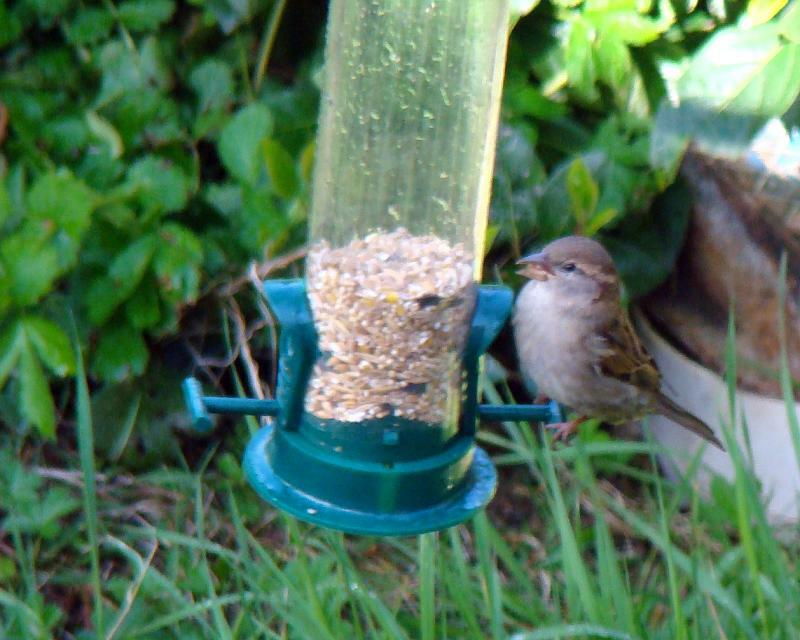 ...and as a result, I was able to snap my first shots of the sparrows feeding. This morning when I heard them outside, I waited with baited breath, expecting them to go for the Niger feeder. 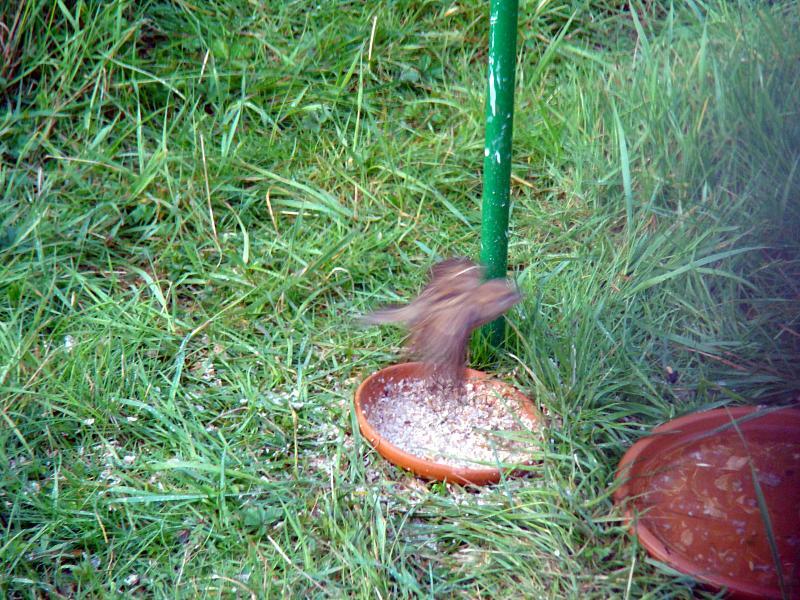 But no, they went straight for the regular seed feeder, and afterwards hopped onto the ground and had a mouthful of muesli as if to say I`ll have a bit of both for inauguration! Now I just wish some bird will start feeding on the Niger seeds too. It does cost a bit afterall!